As a trainer (and as a firefighter in the workout room), I hear people saying, I want “abs” and of course, I want to help people achieve this. However, I frequently see people performing the least productive exercise for their abs- the crunch. Yes, the movement performed while lying down on a mat with the head and neck supported. This movement, will not get you results. If you want to see “the abs” you feel during this exercise, change your diet! Which I will post about soon. Here is why the crunch is not the best exercise for your abs or core. 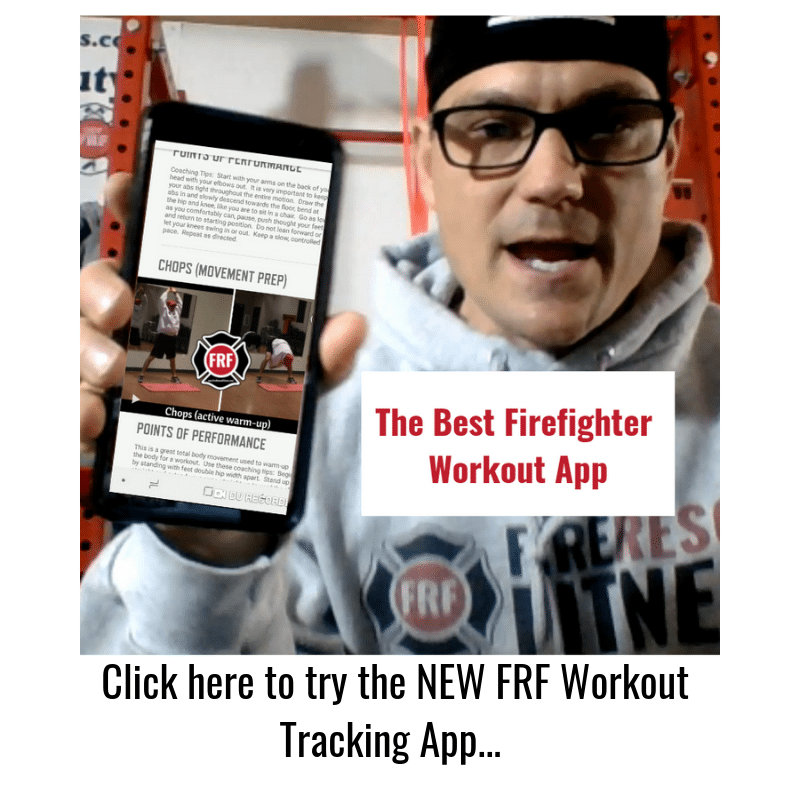 The crunch exercise will shorten and strengthen your rectus abdominus (six pack muscles) and obliques (especially if you twist) from a position that is useless (non-functional) for the majority of daily and fireground related tasks. also, any exercise doesn’t totally isolate one muscle and has consequences for other muscles. The crunch exercise leaves you with weak neck muscles and shortened muscles of inspiration (breathing). You’re thinking, so what? I’m thinking poor posture that doesn’t look good, especially as one ages, greater tendencies for muscle tension headaches and whiplash due to an imbalance of torso strength to neck strength, and poor breathing. So now you’re thinking but I read about doing crunch exercises in my favorite health or fitness magazine and it said it would strengthen my abs. It does, but it doesn’t teach them to perform. If you eat right, you will have a “dumb” beautiful muscle. But, your body knows nothing of muscles, only movements. This too is another topic. We all have a nervous system that communicates with our muscular system. Our “abs”, or our torso (containing many muscles and nerve connections from the spinal cord) performs many functions. 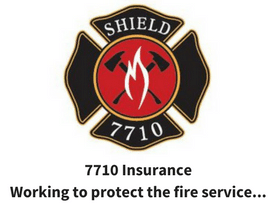 It flexes forward and back, to the side, as well as rotates or twists (especially on the fire ground and rescue scene), and primarily stabilizes the spine to provide an anchor for our limbs to produce force and hold us up against the forces of gravity. It does one or more of these functions simultaneously with the input from our nervous system. These ideas relate to the body knowing movements rather than muscles. Rarely, in daily activities or sport do the abs repeatedly flex a couple of inches off a flat surface. Therefore, it makes a lot of sense to teach the “abs” to stabilize rather than flex from the floor! The “abs”, torso, or the “core” is a complex area to train. Yet, there are many exercises that can effectively train this area in a safe and functional manner. One of these exercises is the prone plank. 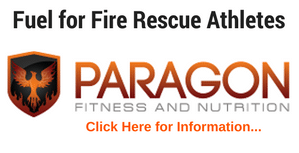 This exercise (or a version of it) should be a staple in every firefighters, EMTs and Paramedics workout program. See how long you can hold the “correct” position–start with 30 seconds and work your way longer. 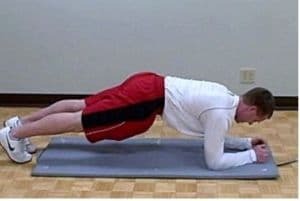 To perform the prone plank rest on your forearms or hold yourself up in a push-up position with your toes pulled up towards your shins and hold for as long as you can while maintaining the natural curves of your spine. The trick is not to allow your hips to either sag, shift, or twist to any side. Also, keep your neck in alignment. 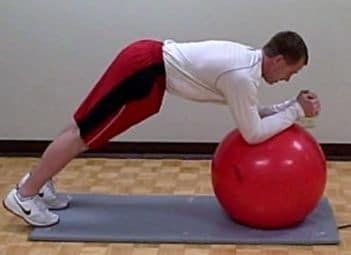 A common error during this exercise is letting the head drop towards the floor. 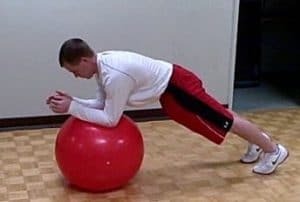 This exercise teaches the abs to stabilize by performing an isometric (without movement) contraction that will enhance the posture, provide a lean elongated looking torso, and a foundation of strength for all sporting or daily movements. Heres a video to demonstrate the Plank with pulses. This movement along with other core movements should be a part of your workout program…don’t have one, you can get one Here.